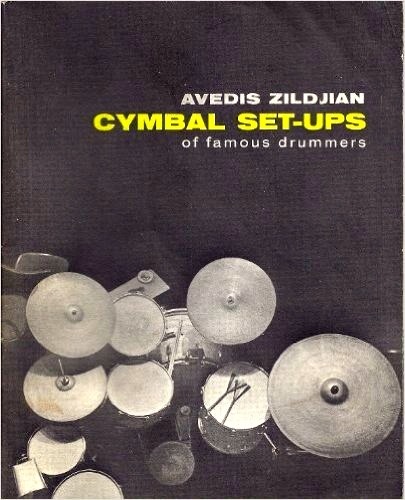 The first I remember seeing Shelly Manne‘s name/photo is the early 1970s in Avedis Zildjian’s Cymbal Set-Ups of Famous Drummers booklet. I wanted to buy a 20-inch A Zildjian Ride cymbal, but the local music store had only a few in stock, all bad sounding. So I bought a 22-inch A Medium Ride instead. But I didn’t know any drummers who used a 22-inch Ride, and I went to Zildjian’s Cymbal Set-Ups to find one. And there was Shelly Manne! The first time I was blown away by Shelly’s playing was on pianist Bill Evans’s trio date, A Simple Matter of Conviction with Shelly and Eddie Gomez on bass. I can’t tell you the precise year, but it had to be around the mid-1970s. From the opening number, Shelly redefined for me the musical possibilities for drummers in piano trios. I had listened to several piano trios – even great piano trios – but none like this one. And none of the drummers played with Shelly’s conception of musicality, interplay with the other musicians, use of space, humor, surprise, and swing! Also, Shelly’s playing was simple. Imagine someone with an adequate command of the English language creating unique, beautiful sentences and paragraphs, weaving them into great stories. 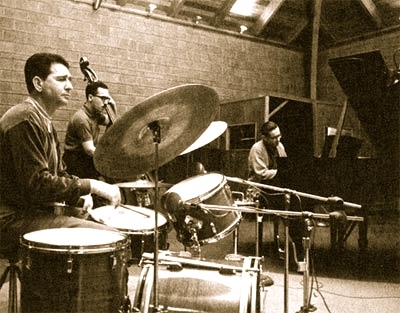 Flashback: Joe Morello told me he would have liked to record an album with Shelly Manne. I responded with, “He doesn’t have a lot of chops, does he?” Joe winced — WINCED! — saying, “He has enough.” (Boy, if I could have withdrawn my “chops” statement I wold have done so in a heartbeat!). 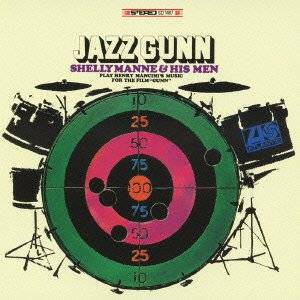 Shelly’s band with Frank Strozier (alto), Conte Condoli (trumpet), Monty Budwig (bass), Mike Wofford or Russ Freeman (piano) recorded some of my favorite albums: Boss Sounds!, Jazz Gunn, Perk Up!, The Navy Swings. 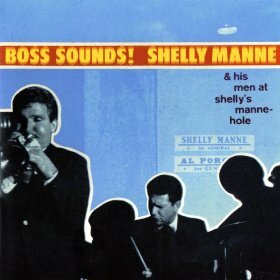 Also, a friend and club owner had a compilation album with one track, The Girls of Sao Paulo, by Shelly Manne (percussion) and Jack Marshall (guitar) that absolutely fascinated me. As with all of my favorite Shelly songs, what he plays is exactly right for the music. The Girls of Sao Paulo is available (MP3) on the Manne/Marshall album Sounds!. I can’t vouch for the Sounds! album because I haven’t heard it in over 40 years. But whenever The Girls of Sao Paulo played in my friend’s nightclub, for one minute and 51 seconds I stayed glued to that song. As with Shelly’s playing with Bill Evans and Eddie Gomez, his playing with Jack Marshall’s acoustic guitar opened a whole new world of drum sound possibilities. This entry was posted in SKF Blog and tagged Bill Evans, Conte Condoli, Drummer, Eddie Gomez, Frank Strozier, Jack Marshall, Mike Wofford, Monty Budwig, Scott K Fish, Shelly Manne. Bookmark the permalink. questions with great patience. Shelly and his wife, Flip, were classy people, engaging and down to earth. He was an ongoing influence in my life, both personally and professionally.